Good afternoon and Happy Monday! It's a gray, cold, and dreary day here in central Pennsylvania- I hope the weather is better where you are! As you can see, I've been slowly incorporating the elliptical into my training. I say slowly because Edna (that's what I've named my cranky right foot) acts up sometimes and I have to switch to the bike which doesn't hurt my foot at all. That's the plan right now; if it hurts, stop. So I am slowly working back up to walking and running. Very, very slowly. Also, as you may remember from last week, I bought myself a new ActiveLink 2.0 from Weight Watchers. I am still in the "assessment" phase (for the next seven days) so I'll have more to report next week. 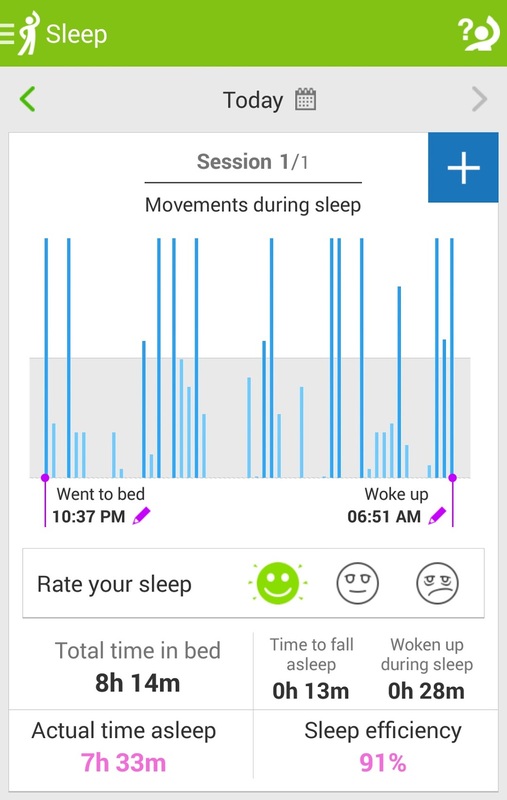 But, it also tracks my sleep and I was really intrigued by the data collected. I can't wait to have more information about my activity and sleeping patterns- I've never really looked at it before so hopefully it will give me useful feedback. We weren't traveling this weekend (shocking, I know!) so I was able to manage my spaces pretty well and stick to my daily points target- most days. 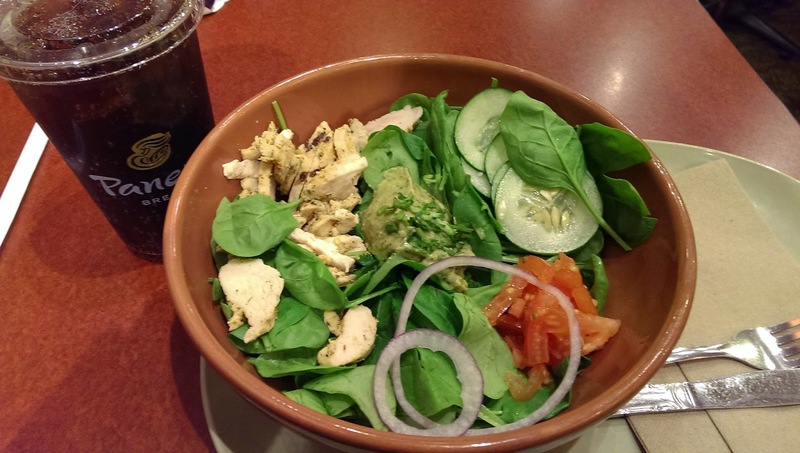 Lately, I've been loving the hidden menu from Panera- especially the Power Chicken Bowl: chicken, veggies, hummus. Ah-mazing. Seriously. Just try it. QOTD: Do you use an activity monitor like the ActiveLink or Fitbit? Does it motivate you to move more? I am so mad. The WW here in SC have decide not to sell the new Active Link. What?? Why?? That is so weird!